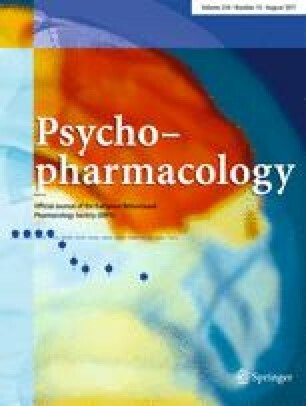 These experiments assessed whether reported increases in food consumption and food-reinforced instrumental performance in undeprived rats by the 5-HT1A agonist 8-hydroxy-2(di-n-propylamino)tetralin (8-OH-DPAT) are due to an increment in the incentive value of foods. Against this hypothesis, we found that when undeprived rats were trained to lever press for the food pellets and then allowed to consume the pellets under 8-OH-DPAT, this reexposure decreased subsequent instrumental extinction performance regardless of test drug condition relative to reexposure under vehicle. Although both food consumption and reinforced lever press performance were incremented, 8-OH-DPAT was found generally to reduce instrumental extinction performance and lever pressing during a period when the reinforcer was delivered non-contingently. Rats injected with 8-OH-DPAT were, however, more sensitive to delay of reinforcement, and increased their lever press performance at a 3-s delay but decreased performance at 6-s and 12-s delays relative to animals injected with vehicle. These results are consistent with the hypothesis that 8-OH-DPAT modifies arousal processes in a manner similar to mild stress, thereby acting both to elevate rewarded instrumental performance and to increase sensitivity to the effects of non-reward.